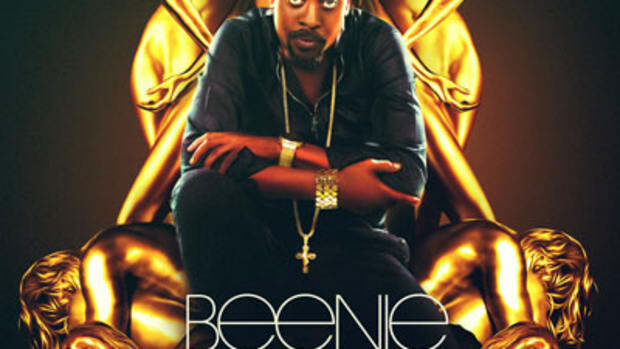 Stream Beenie Man&apos;s new video "Girls"
Beenie Man rightly proclaimed himself, King Of The Dancehall, a couple years ago and no one in the battle-based culture batted an eye-lash. Why? Because when it comes to chats and riddems, Beenie Man is the alpha and the omega. That is, the 33-year-old Kingston native, born Moses Davis, but better know ‘round the world as Beenie Man, is the dancehall movement personified. Releasing his first record, “Too Fancy” at the tender age of 7-years-old in in ’81, Beenie has not only been at the forefront of the genre ever since, but has been largely responsible for growing it into the international phenomenon it is today. And it is exactly this legacy which his latest release, Undisputed, serves to maintain. “This album is all about the title,” he says. “It wasn’t a concept, but more of a theme. Each song had to live up to that name.” And with production by the likes of Scott Storch, Don Corleon (Elephant Man, Sizzla) and Tony Kelly (Sean Paul, Wayne Wonder), and appearances by Akon, Brooke Valentine and reggaeton artist Voltio, Beenie ably completed the task of crafting an LP worthy of such a bombastic title. The lead single, “Hmm Hmm” is vintage Beenie at his best with infectious choruses and unforgettable melodies. However, is it really any surprise that the man behind over 1000 songs would be able to make an LP with such a cocksure title? “Music is in me since I was little,” he says. “My uncle had a DJ set up and I got my start doing that before I was 6 years old.” Perhaps in part due to the fact that he still spins to this day, since childhood Beenie has had his finger on the pulse of . Consequently by 7 he had recorded his first single, and by 10 he had released his first long-player, The Invincible Beenie Man. Throughout the ’80s he continued to record, perform and DJ. In ’92 Beenie made a splash at the famous Reggae Sun Splash by going after rival Bounty Killer in what would become an infamous back-and-forth. Though the following year they would squash it and record a split album, Gunz Out. Shortly thereafter Beenie release a remake of Bob Marley’s “No Woman, No Cry”, titled “No Mama, No Cry”, which was produced by legendary tracksmen Sly and Robbie. It was during this collaboration that Beenie was enlightened to the Rastafarian doctrine and eventually converted. A slew of national hits ensued through out the mid nineties, including “World Dance” and “Slam.” But it was in 1997, on the strength of his crossover smash of his Grammy-nominated Many Moods Of Moses and it’s single “Who Am I?”, that Beenie exploded as an international superstar. And in doing so for himself, he opened ears and doors for everyone in his genre around the world, but especially in the . Around the same time Beenie made his acting debut in the critically acclaimed Dancehall Queen. He then went on to The Doctor and Y2K, in ’98 and ’99, for VP Records. Both considered dancehall classics in their own rights, solidified his core base. Virgin records responded to Beenie’s breakout success and signed him. Art And Life, his debut on the new label, truly broke him stateside. Monster hits like the Neptunes produced “Girls Dem Sugar” featuring Mya, and the Wyclef-guested, Saalam Remi produced “Love Me Now” took him to the top of the pops. From there Beenie continued to churn out hits at home and abroad. “I still do singles, and DJ,” he says. “Because it is important to never lose touch and stay in what’s going on. And I still love it, as well.” His 2002 set, Tropical Storm only further solidified him in the with it’s brilliant collaboration with Janet Jackson, “Feel It Boy”. However it was his latest, Back-To-Basics, which is arguably the closest thing dancehall has seen to a summer-blockbuster-esque album a la Get Rich Or Die Trying. The LP yielded hit after hit after hit. Undeniable anthems like “Dude” and “King Of The Dancehall” served to coronate Beenie as truly undisputed in every sense of the word. “I’ve broken down every barrier and broken every record,” says the man who’s been nominated for 3 Grammys and won multiple MOBOs in the , in a tone of absolute humility, referring back to Undisputed. “So this album is just one more step forward.” Was there ever any doubt?